IslayBlog.com -> 2007 -> Colonsay Brewery, Competition or Complement to Islay Ales? Colonsay Brewery, Competition or Complement to Islay Ales? Colonsay Brewery was officially opened last week and has already made it into the national press (BBC NEWS | Scotland | Glasgow and West | Barrels roll for island brewery, Scotsman.com Business - Food, Drink & Agriculture - After 500 years, brewing returns to tiny isle, the report from The Herald doesn't seem to be available online). At full capacity they will produce more than 200,000 pints of lager and 80 shilling ale a year. Now I don't know how their beers taste (and I'm drinking an Islay Ale while writing this) but I think they will complement the offerings from Islay, same as the various distilleries on Islay and Jura complement each other. Considering all the mass produced (can you really call it brewed what some of the big industrial breweries are making?) more or less uniform tasting beer out there I think another quality microbrewery can only be a good thing. 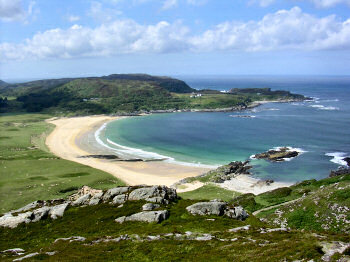 Oh, and did I mention they also have a Colonsay Brewery Blog? I'm subscribed. And hope to get a taste of their beer later this year.